Silver stone fox fur imitation shoulder bag with adjustable and removable strap. Package shipping 48h. This hand bag is perfect for a fashion and chic figure. 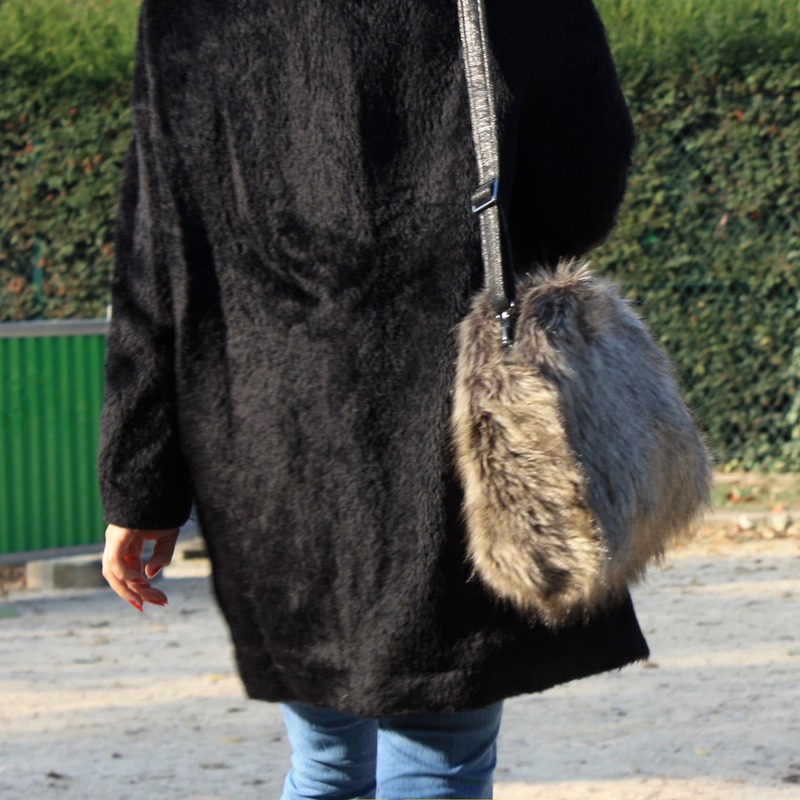 This faux fur, very beautiful fox fur imitation with long hairs (1,5 to more than 2 inch) and high density (1000 g/m) is shiny and soft, and it easily matches with most of the season outfits. You can carry it under arm like a large clutch or on shoulder with its strap. It closes with a discreet zipper sise between the upper sides and a little inside pocket allows tidying. The rings, the hooks and the adjustable buckle of the strap are made of gun metal. The strap and the parts around the zipper are made with black glossy denim.